A few users requested a plugin for launching the MythTV frontend so I added one. It works in Snow Leopard and is available on the Front Row Plugins page. There is now a page that has links to all the Front Row plugins along with info about installation, uninstallation, etc. It’s here. New Front Row plugins for Snow Leopard! Those of you upgrading to Snow Leopard will discover that my previous plugins for Front Row won’t work. The good news is that I have new plugins that work in Snow Leopard. These plugins have been completely rewritten using Objective-C (which I have been wanting to do) and are no longer based on the FrontPython project. This should lead to more stable code that is a little easier for me to improve. The bad news is that they are still a little buggy. They should launch your program fine but will most likely not be able to return to FrontRow when you exit the launched program. There are probably some other bugs too. Even though they still need a little work Snow Leopard comes out today so I figured I should get something out. These work in Leopard too (I haven’t tried them in Tiger). If you are still running Leopard and want to use the previous versions they are still available using the links in the original blog posts. Here are my predictions for this year. We’ll see an updated version of the iPhone with more storage and a compass. If it has a video camera that would be awesome but I won’t hold my breath. We’ll see the announcement of the release of Snow Leopard in August or September. I think Apple will also announce that it will be a free upgrade for Leopard users. They did this for some of the earlier versions of OS X and given the nature of this release I wouldn’t be surprised if they did it again. Especially with the release of Windows 7 this year. I don’t think we’ll see the infamous media tablet that everyone likes to speculate about. However, I do think iPhone developers may get some info about how future device sizes will be handled. Like many others I think it would be awesome if Steve Jobs appeared at the keynote but he won’t. BEFORE you run this you should have at least run the Hulu Desktop once to accept their EULA. If you don’t the plugin will think it wasn’t able to launch Hulu Desktop. I would also suggest switching it to full screen mode. This can be used along side my other Front Row plugins without conflict. Slick twitter client for Mac from the creator of the best iPhone client. 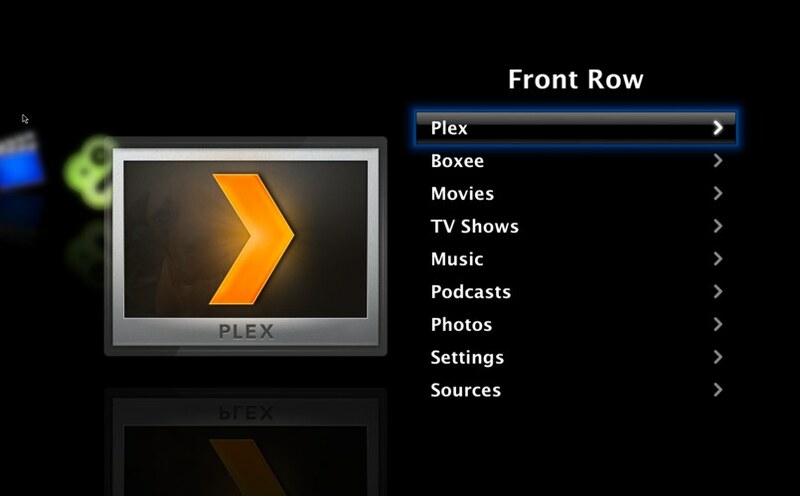 In response to a reader’s request here is a FrontRow Plugin for Plex. This is just an updated version of my Boxee Plugin. You should be able to use both together. It is assumed that Plex lives in your /Applications folder. 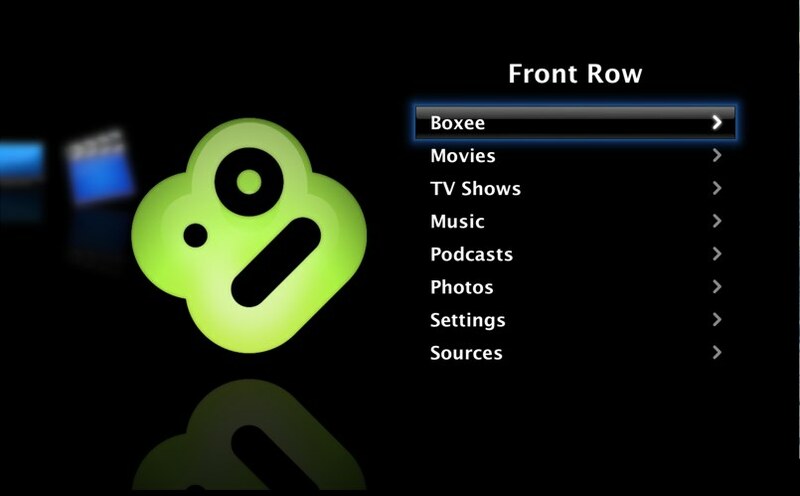 I have thrown together a plugin for Front Row that will allow you to launch Boxee. If you want to try it out you can get it from http://holeintheceiling.com/files/FrontRowBoxee.dmg. from the command line. That will make sure that it gets loaded. It’s a bit of a work in progress. 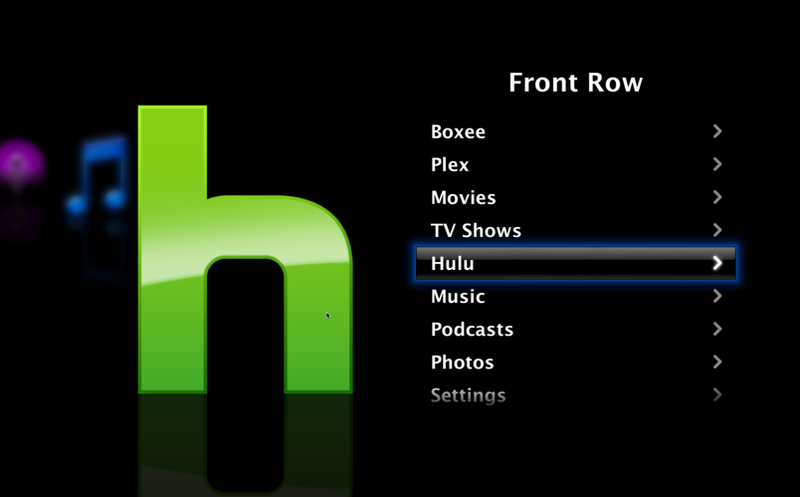 When you exit Boxee it should put you back into Front Row but that doesn’t always seem to work. Also, you sometimes see the desktop for a few seconds as it switches between the interfaces. Currently it is just some hacking done to the code from the frontpython project. I would like to move it from python to obj-c as time allows. There is a lot of talk about a new version of Mac OS X showing up at WWDC this year. One thing that I think we will see is a move away from it being ‘Mac OS X’ to just ‘OS X’. I think that would make it fit more with the fact that it runs on the iPhone and iPod Touch. This would also fit nicely with the rumors of the .mac name change. We shall see.